David Morris was born in Knaresborough and studied painting and printmaking at Harrogate School of Art, before continuing his studies in painting and sculpture at the Slade School of Art London 1959—1961where his tutor was Keith Vaughan. After graduating he began teaching foundation studies part time at Bradford College of Art. In 1963 he was appointed full time at Harrogate College of Art where his responsibilities included teaching printmaking across the college. 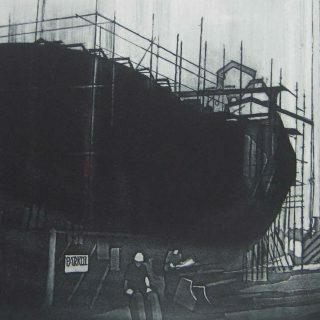 Many of his students have continued as practicing printmakers themselves. 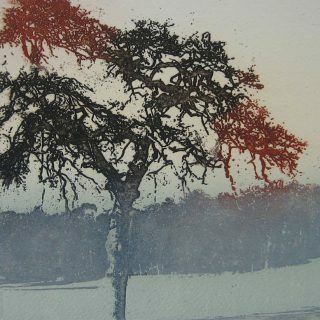 After retirement from full time teaching he continued to run an adult printmaking class at Harrogate College until 1995. 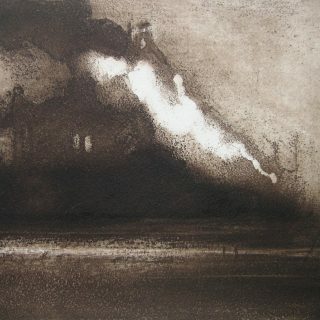 Since that time David has concentrated on his own work as a painter and printmaker. 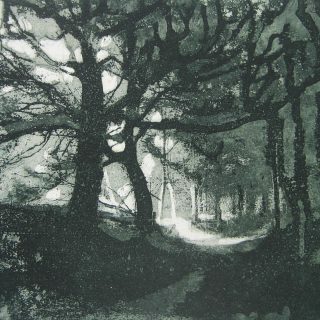 Etching is his preferred printmaking method particularly aquatint. 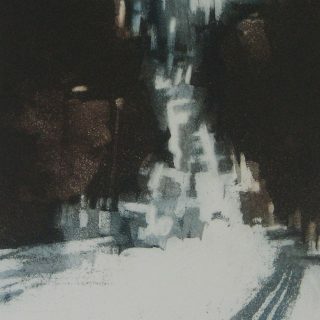 His work follows in the tradition of English landscape painting and printmaking and is firmly rooted in observation. 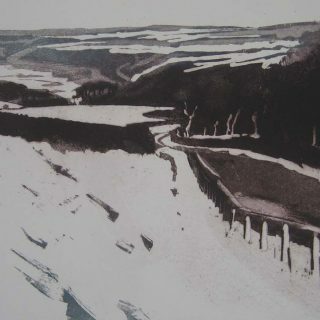 The North Yorkshire landscape and coast provide much of the subject matter where he favours less well known places like Port Mulgrave and Skinningrove. More recently the industrial landscape of Teesside is proving fertile ground. Over the last ten years David has exhibitied widely in public and private galleries in the UK. In 2012 his work was purchased by the House of Lords for inclusion in their Works of Art Collection.